What a fabulous mermaid prom dress. Fitted bodice with V-neckline, repeated playful V-cut on the back and tulle skirt softly amplifying and going into small train make the silhouette picture-perfect. 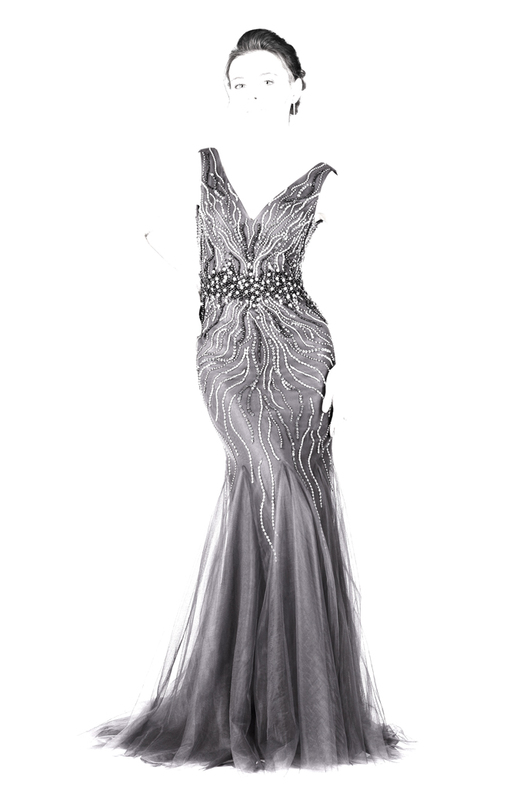 Shiny wavy rays of beading flow from the middle and fancy crystals shine on the waistline.